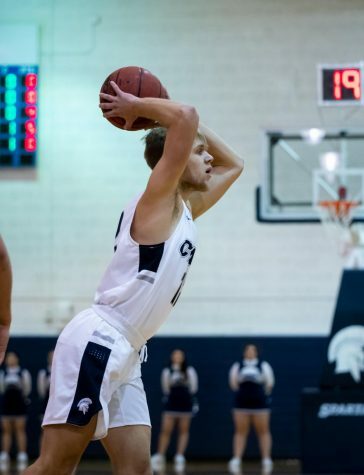 The Spartans defeated University of Chicago with a score 85-80. The win marked the first road win against UChicago since 2009. Head Coach Todd McGuinness commented, "I am so proud of my guys and happy for them to experience the game." 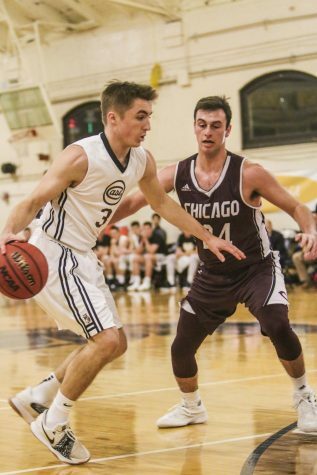 The Case Western Reserve University men’s basketball team continued its University Athletic Association (UAA) schedule last week, facing two tough opponents on the road, the University of Chicago and Washington University in St. Louis (WashU). The team defeated then-UAA leader Chicago, 85-80, on Friday, Jan. 25, but lost to WashU two nights later, 88-55. “First win at Chicago since January 2009, so I am so proud of my guys and happy for them to experience the game,” Head Coach Todd McGuinness said. The game kept things interesting with back-and-forth play. The teams started the game exchanging leads. 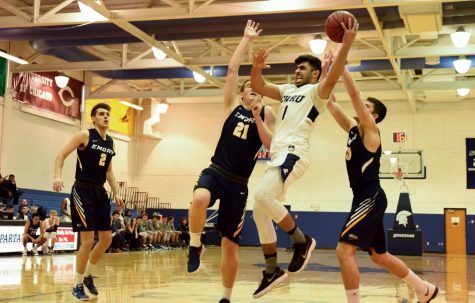 Third-year guard Monty Khela tied the game at 16 on a three pointer with over 10 minutes left to play in the first half. Chicago made a 12-2 run to give the Maroons a 10 point lead. Third-year forward Michael Hollis ended the run with a layup with under eight minutes left in the half and started a quick 6-0 run to bring the Spartans within four. The teams exchanged buckets and second-year guard Ignas Masiulionis tied the game at 37 going into halftime on a three pointer. 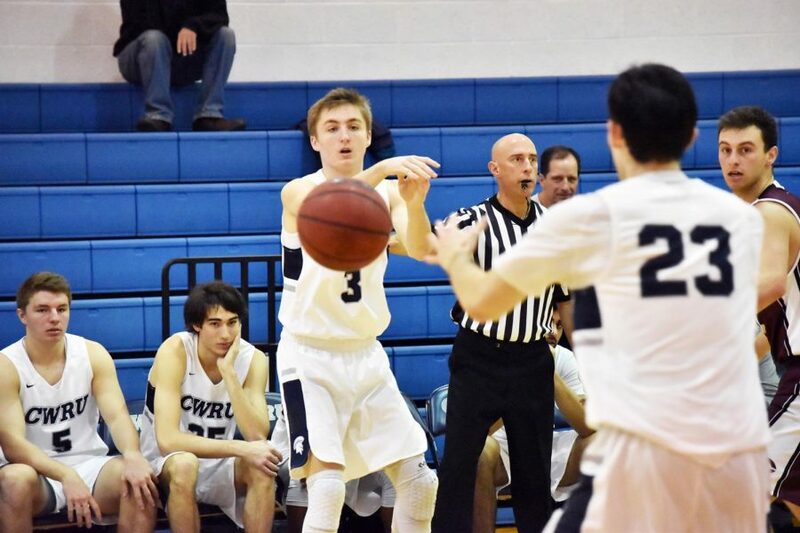 Free throws by second-year guard Michael Volkening and two three pointers by third-year forward Connor Nally gave CWRU a five point lead in the beginning of the second half. Chicago would tie the game again at 47, and both teams would continue trading the lead. 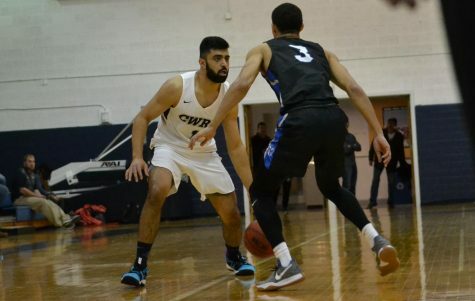 Second-year guard Antonio Ionadi broke this stretch, hitting a three pointer and sparking a 7-0 CWRU run. However, the Maroons would answer back with their own 8-0 run to go back up four. 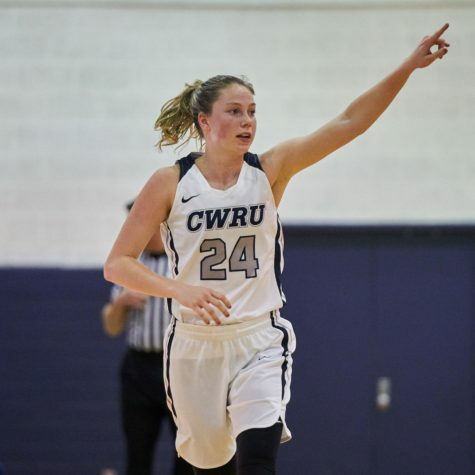 Ionadi would hit a game-tying three pointer to knot the score at 72 with under four minutes left and Masiulionis hit a long two pointer to give CWRU a 75-73 lead. Chicago hit a three to take a temporary lead, but Masiulionis once again delivered with a clutch three pointer. CWRU would take the lead and hold on for the win. Against WashU, the Spartans were outmatched. 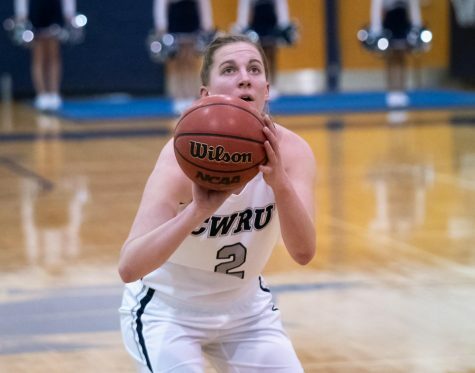 CWRU started the game by making five three pointers, but the Bears took an early 11 point lead. Hollis hit a layup with over eight minutes left in the half to bring the deficit to eight. Unfortunately for the Spartans, WashU started a 16-2 run. Fortunately, third-year guard Sam Hansen’s layup ended the run with under three minutes left. CWRU went into halftime down 45-25. A three pointer by Hansen in the beginning of the second half brought the Spartans closer, now down by 17. This was as close the team would get in the second half, as the Bears pulled away and won. The Spartans finished the week with a win and a loss, bringing their overall season record to 9-9 and their UAA record to 2-5. The team will be back at Adelbert Gymnasium for Throwback Weekend and the home part of their home-and-home series with these two teams. 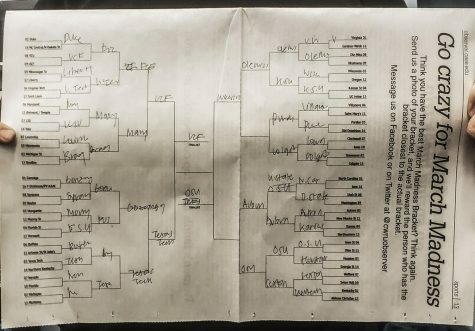 They will face Chicago on Friday, Feb. 1 at 8 p.m. and WashU on Sunday, Feb. 3 at noon. CWRU will wear alternate jerseys of the Case Institute of Technology Rough Riders and Western Reserve University Red Cats.